Morning all, it’s the eve of the FA Cup final and it’s a beautiful day in London again. I got here yesterday afternoon for last night’s live podcast recording, and it was absolutely sweltering. It’s the kind of weather you associate with the cup final, so let’s hope the sun continues to shine literally and metaphorically over the Arsenal this weekend. The graduated return to play (GRTP) protocol should be followed in all cases. This staged programme commences at midnight on the day of injury and stage 1 (initial rest period) is 14 days in all players unless they are in an enhanced care setting. In all cases, progression to stage 2 of the GRTP can only occur if the player has no symptoms. 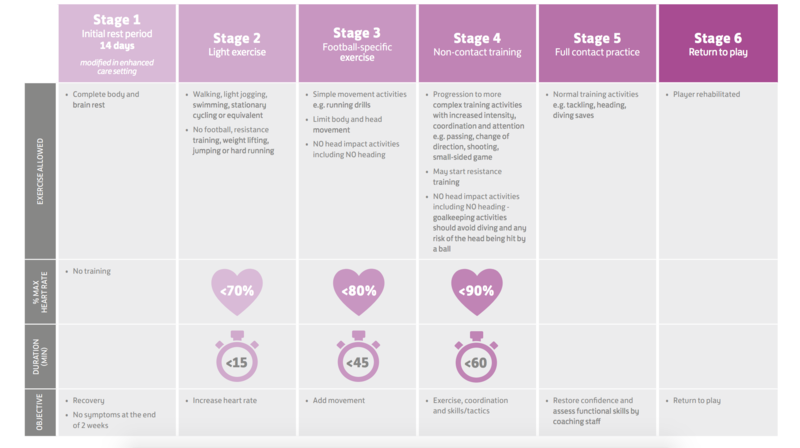 Under the GRTP Protocol, the individual can advance to the next stage only if there are no symptoms of concussion at rest and at the level of physical activity achieved in the current GRTP stage. If any symptoms occur while going through the GRTP program, the individual must return to the previous stage and attempt to progress again after a minimum 24-hour period of rest without symptoms. So, he’s going to really struggle to be involved, and anyway, you have to ask whether a hot day at Wembley when you’ve been under the weather to that extent is in any way sensible. There are suggestions Kieran Gibbs is fit, meaning he could play left wing-back, meaning Nacho Monreal could play as in a back three alongside Rob Holding and Per Mertesacker. When you pick up injuries you put yourself to the bottom of the pile for a bit and have to work yourself up. That’s what has happened in recent years. But when I picked up this injury, I tried to attack the ground running and set out a plan that gives me the best opportunity to put myself in contention. I have carried that out. I’d love to start the game and play the whole game. But team selection is tough. Hector has been doing really well. Who knows, I could play elsewhere, I’m not sure. That’s up to the boss. Whether he plays or not remains to be seen though. Hector Bellerin has done well since he came back into the team, and he’d be my preference for the right hand side. If the manager wants something a bit more explosive that Gibbs on the left though, he might well view the Ox as a potential candidate there. He’s played on the left plenty of times, and he could offer more in the final third. You would have concerns defensively though, so I suspect Wenger will err on the side of caution and see Oxlade-Chamberlain as someone who could make an impact from the bench. It is hard to predict though. Anyway, we’ll preview the game fully tomorrow, and maybe we’ll know a little more about who’s available and not then. Finally for this morning, juicy gossip-mongers have suggested Sead Kolasinac was at the training ground yesterday to get his photos done and all that. It’s unlikely that anything will be announced before the final, but we should officially have ourselves a new lefty defender early next week at some point. 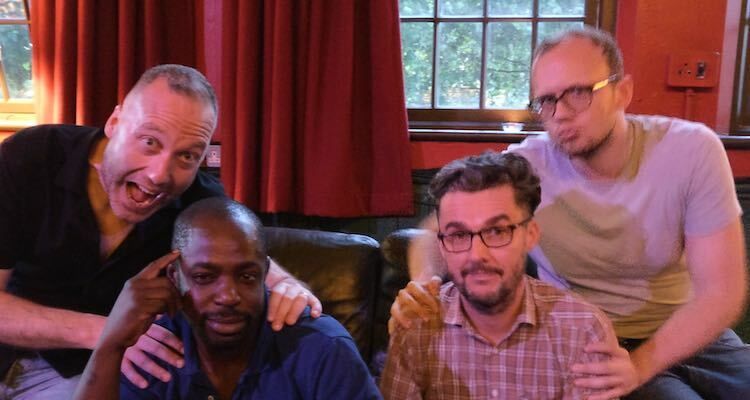 Right, let’s get on with this week’s Arsecast, which was recorded live at Union Chapel last night. With James and I on the panel are Tayo Popoola and The Man from East Lower, sometimes known as Jim. We discuss FA Cup memories, preview the upcoming final against Chelsea, defensive crisis chat, talk about John Terry’s curious balance issues, and read out some weird comments we’ve had on our websites/videos. We then answer a load of listener questions, and break it all up with spot prizes of bags of delicious Jamon Ruffles! Right, that’s that. Enjoy the show, enjoy the weather, and start getting ready for the cup final tomorrow. News all day over on Arseblog News.